The polymathic Haley Fohr, the incomparable force behind Circuit Des Yeux, is one of the world’s best live musicians. We meet in tQHQ before her extraordinary show in The Lexington downstairs, a set which sees her cast serene sweeps of guitar and establish a transfixing dark presence on stage, but most of all employ the cosmic power of her stupendous voice. At times it’s booming and towering, at others its raw and direct, and elsewhere simply ethereal and sublime; she offers a transcendent force that is both uniquely its own and has a place in a certain grand tradition. Circuit Des Yeux is on tour throughout the Spring, with May shows at London's Barbican Centre, Manchester, Dublin, Glasgow and Leeds. For the full dates click here. 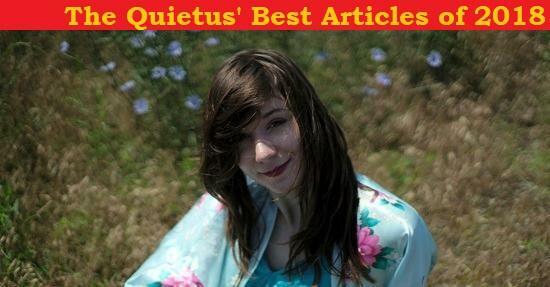 To begin reading Circuit Des Yeux's Baker's Dozen, click the image of her below.